I think it’s pretty bloody important to state at the start of this review that I hate The Sims. I always have done and I always will do. It’s unstructured, overly pointless and just straight up dull. However I have to admit that the AI on the PC versions (at the time) was something that shouldn’t be scoffed at. The way these characters interacted made you feel like you were in charge of a living breathing world and for that it always received my respect as a development achievement. Unfortunately this level of intelligence never really made its way across to the console iterations and also the lack of solid control and shaky cameras left for an overly unpleasant experience. Now I’m going to begin this review with my conclusion of the game. Why? Well simply because I want to. This game is probably the best Sims game that has made it onto a home console. It’s focus on exploration rather than “free-play” gives the game purpose, meaning and also structure without throwing away the classic formula that made the Sims the gaming phenomenon they are today. With all your characters in place you watch a short cut scene whereby the “plot” unveils. Your Sims have been on some kind of cruise/boat trip malarkey when all of a sudden a terrible storm ship wrecks their (rather dated) boat and leaves them all scattered around a desert island. It’s from here that the game picks up. What’s interesting about Castaway is you start the game with only one character – it is one of your tasks to find the rest of your crew. For me this was a nice introduction into the game because I’ve always found it a bit overwhelming having to deal with a family of Sims all in one go so it’s nice to get a few hours play into the game before you are having to deal with a horde of characters. 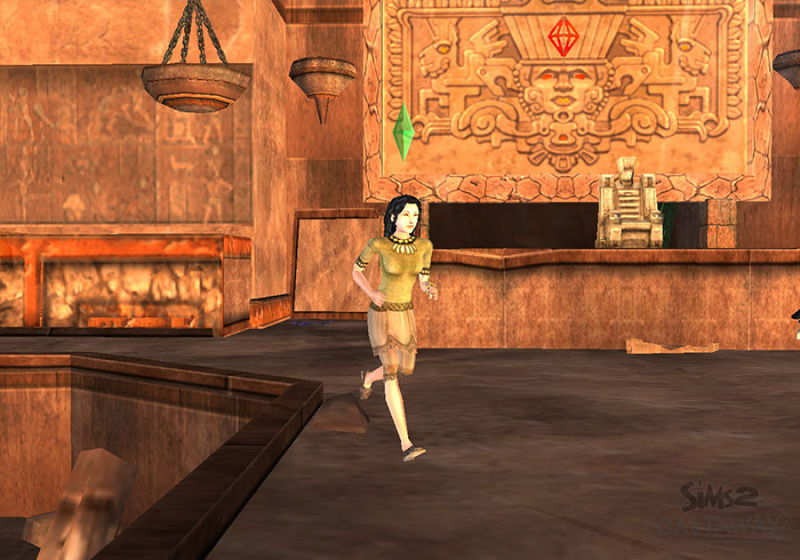 The game plays differently to other Sim titles – opting for a kind of third person adventure control mechanism as opposed to the traditional “point and click”. You move your Sim with the nunchuck and then execute tasks by either pressing the Z button – or using a cursor controlled by the remote and pressing the A button. Pointing the cursor at the screen revels all your Sims “happiness” levels (does he need the toilet? How hungry is he? Etc.) aswell as quick access to your inventory and maps. As I write down the control scheme it sounds kind of fluid and kind of good – but playing is totally different to describing and for some reason the movement of your Sim is a little stubborn and also selecting tasks for your Sim to do can be a little fiddly. It’s also important mentioning at this stage (before I forget) that accessing inventory’s and maps can take a horrendously long amount of loading time – which is disappointing considering I’d grown to somewhat forget about loading times as they pass unnoticed in most games. 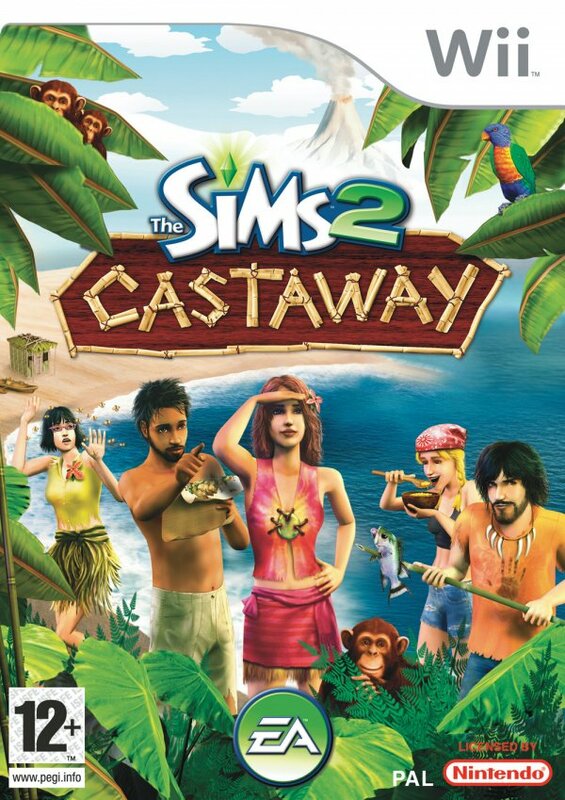 Because of the fact The Sims: Castaway is set upon a desert island you are no longer confined to the four walls of your house – or the small area of your neighbourhood. 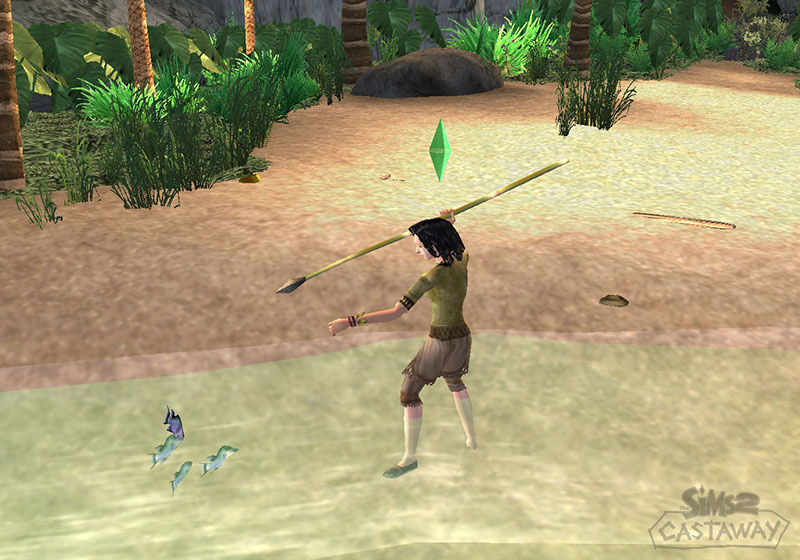 Instead you are free to explore the whole island when or how you like and it is here that the main body of the gameplay is explored. You harvest trees and plants in order to build tools which will then allow you to harvest different trees and plants in order to build even better tools etc. There are no plasma TV’s in Castaway, nor is there money (although curiously there is luxury toilet paper), everything you own in Castaway relies on you collecting enough wood or banana skins to build it. It’s all very magical in that kind of way and if only living on a desert island was so easy it had me wishing Lost would sign me up for like the 743rd series of its somewhat awful TV show. 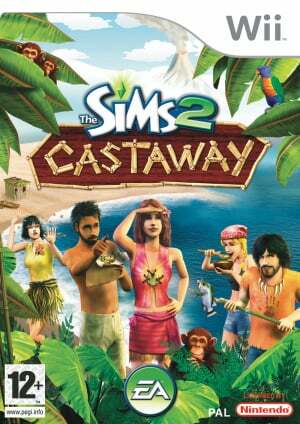 What’s nice about Castaway is the way in which it feels rewarding. The more you explore, the more you earn, the more you earn the better you feel and the more you want to explore. On saying that however I know that this type of gameplay is NOT everyone’s cup of tea and therefore if you are aware that collect ‘em up’s drive you mad then steer well clear of this one. Graphically Castaway is nothing short of appalling. I have been balancing playing this game with Metroid Prime 3: Corruption and well – to say that Castaway looks like a bad Dreamcast game is possibly an understatement. In fact I’m pretty sure some Game & Watch titles boasted better graphics than this game. 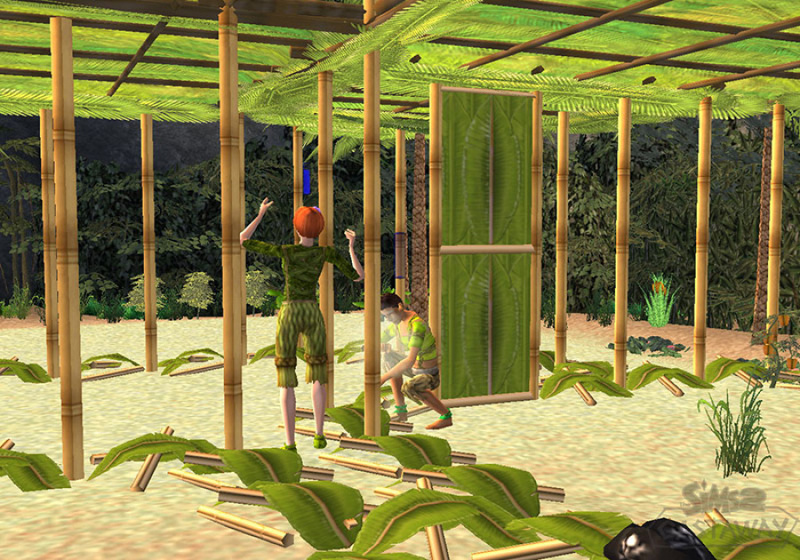 Everything is horribly bland, the textures lack any real detail and the Sims have no emotion whatsoever. I haven’t seen other consoles running this game yet but I’d hazard that none of them have outstanding graphics. Developers really need to pull their fingers out with Wii graphics – I appreciate that the console is somewhere in the middle between 360 and PS2 but simply porting across PS2 graphics because it’s “easy” is unacceptable and starting to get on my nerves. Speaking of nerves – the music will grate on you – but it’s nice that EA included an option that lets you turn on and off the sounds you do and don’t like. All the same though this might be a game to play to the radio (although arguably if you’re listening to Kerrang! Radio the sounds in the game are probably recommended). 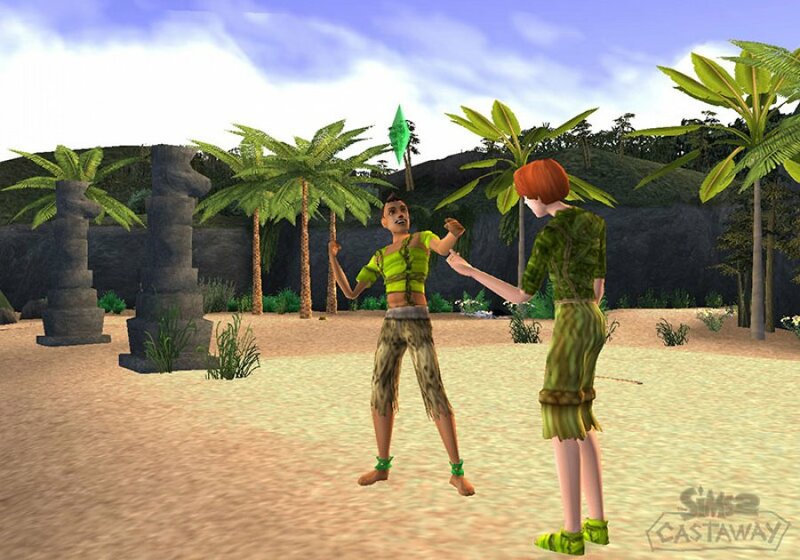 So we’ll finish where we started: This game is probably the best Sims game that has made it onto a home console. It’s focus on exploration rather than “free-play” gives the game purpose, meaning and also structure without throwing away the classic formula that made the Sims the gaming phenomenon they are today. However, if collect ‘em ups aren’t your thing and if you simply haven’t the time to invest in it – I’d give this game a miss. It’s not that it’s a bad game at all – it’s just drawn out and fiddly at times. But hey – that didn’t stop Oblivion being a success? Good to hear this version wasn't as painfully awful as the DS version!